that is odd. And the map was in the ambient mode and zoom buttons were hidden? Because in ambient mode the touch screen should be disabled and the app should be woken up from the ambient first (by button/wrist gesture etc.) It would explain why application seemed unresponsive - swipe to dismiss the application should have not been working either though. Not receiving updates to the map is definitely a bug. thanks for a description of the problem, something is definitely wrong, will look into it. but when in ambient mode the display can´t be woken up by tap my watch is most of the time not in ambient mode. the display is inverted but i can always wake my watch by tapping on it. edit: small testride: the watch is in ambient mode, map inverted, zoom buttons hidden. the crash of the watch at the first Start happend again today. whats new in the new Version? Anyway, new beta version doesn't really bring any new features, it's mostly some bug fixes and optimalizations and small UI changes. There will still be some issues until new version of Locus Map comes out. But all in all I would say the add-on is almost ready for release and we plan to keep working on it gradually adding new features and improvements in the next months. Latest version is for me stable. I 'm using with sleep mode. When watch are woken up application is correctly showing my position. I'm looking forward for zooming with hardware buttons and other features. thank you for this addon! Saturday I did a 3 hour workout with this addon and it worked fine. It was stable and fast. I used 1.5 hours with "display always on" mode and 1.5 hours with "display always on" disabled. In the first case the application consumed abut 10% battery and in the second case about 35%. I have Nexus 5x with Android 8 and Samsung Gear Live with Android Wear 1.5. One can use "always on" mode in workouts <3 hours and for longer workouts the "always on" mode should be disabled. #Wet clothes can cause unexpected touches on the screen this is why better if you put recording controls to different page or combine the controls with unimportant statistical data in this case the user will not leave the screen here and it will not cause any unexpected touch a trouble with recording. Is this forum topic the best and only place for finding all useful info about the use of Locus with an Android wear watch ? I think there is no "the best suitable models for Locus". The addon can run on newer and on older devices too. I have Samsung Gear Live (it was released in 2014) and the addon works fine for me. There is no special requirements for the watch because this addon is only a visual extension of the phone applicaton. It doesn't use any special hardware of the watch (eg. hearth rate/gps etc...) it shows only what the phone collected. I suggest that you choose a watch what best fits your requirements (functionality/looks like etc...) and then you can ask it here may someone has experience with that watch with Locus. The only thing what I would consider if bought a watch the hardware buttons. In my experience the touch screen is unusable when it raining. The actual addon doesn't support buttons but maybe it will in the future. >> I suggest that you choose a watch what best fits your requirements (functionality/looks like etc...) and then you can ask it here may someone has experience with that watch with Locus. I can confirm that all watches running Android Wear should be supported. 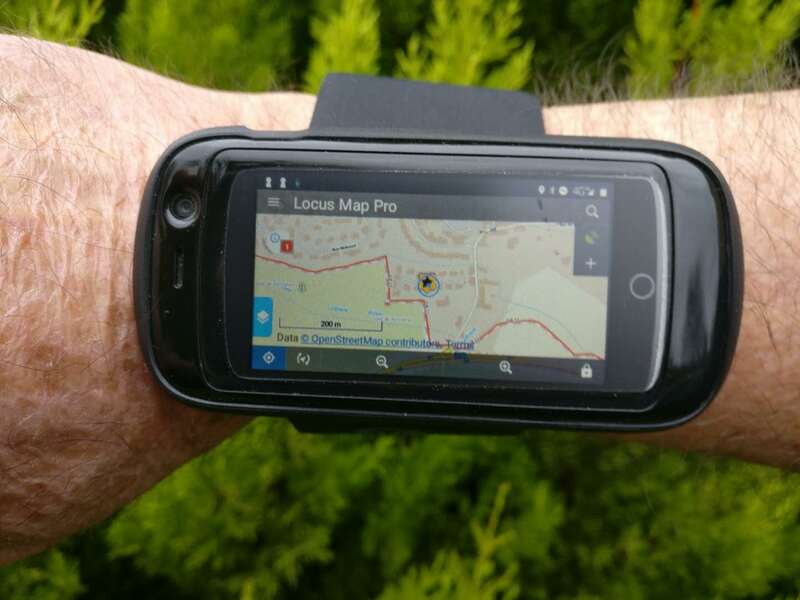 The add-on is currently intended as a companion app to the Locus Map running on the phone so there are no special HW requirements for the watch. Support of HW buttons and "rotating side button" is planned. Tested yesterday in some physical stores around me: the main problem is that it is difficult to know if such or such "smart watch" they sell is working under Android Wear 2.0 or not... And vendors generally don't know!